The animals trekked across water and land. For the nursery to open at quarter to eight." A hand-painted children's storybook about a group of animals taking part in a school play. The animals explore their similarities, strengths and characteristics and what they can each bring forward to shine as the lead role. 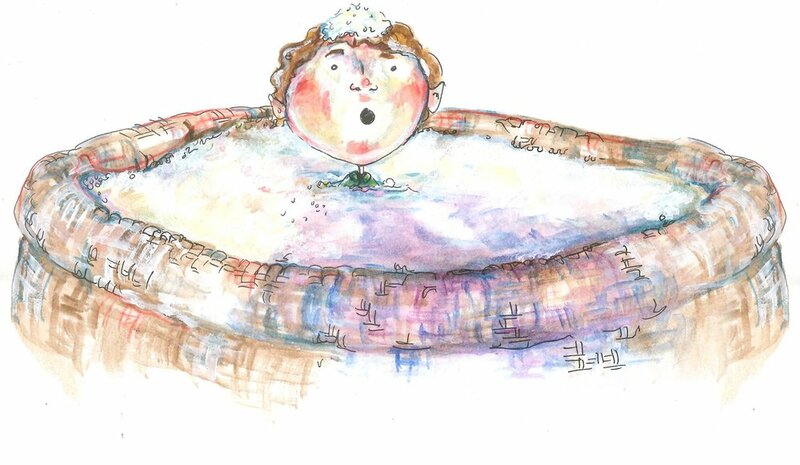 This poetic children's book tells the story of Jane Jerome. 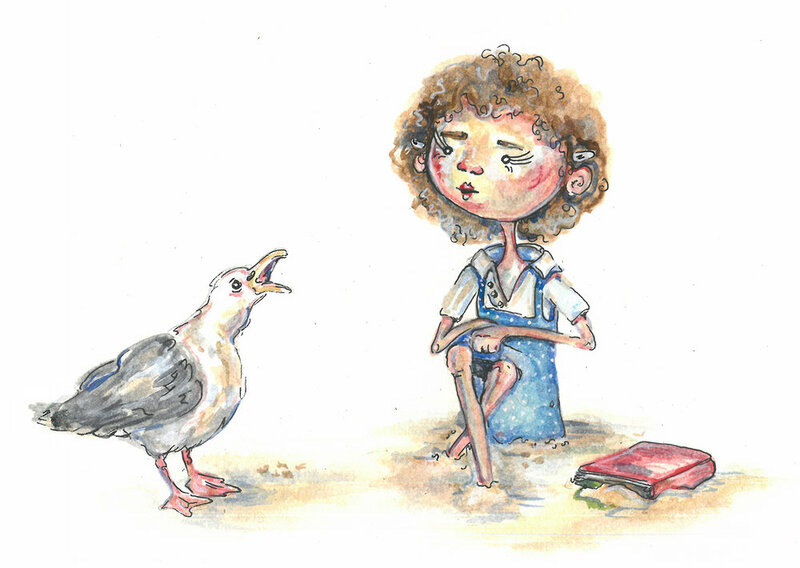 A young girl who outwits a fat seagull - the horrible bird that terrorises children living on an island in the South Pacific. 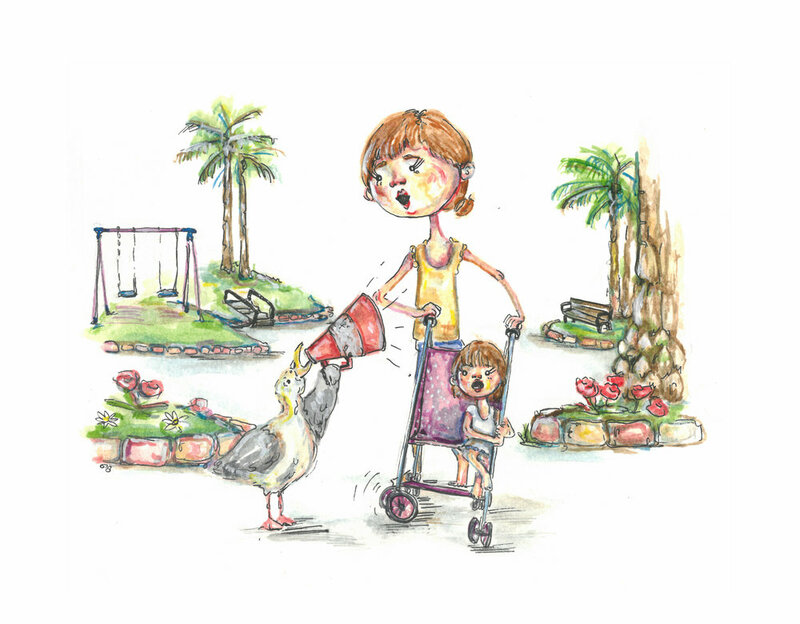 The greedy bird likes nothing better for lunch than fingers and toes! It isn't always easy being a Leprechaun. Getting up to your usual mischievous tricks and games and every day trips to the shop can be difficult in bucketing down heavy rain. On one very wet day, Laurie the Leprechaun lands himself in a lot of trouble and has to find his way home.